Christian Da Rosa, owner of Christian Irrigation, believes the best service is complete customer satisfaction through quality and honesty. Christian started his own company in 1999 after years of working beside his father in his Irrigation Company. This new company began because of one customer. The Hancock family needed an irrigation system and couldn’t wait the two months it was going to take his father to get to the project. Christian saw this one job as an opportunity to start his very own company. Since that day twelve years ago, Christian has designed and installed over 1000 irrigation systems. He saw his business grow because he learned early on the value of a fully satisfied customers, and being able to use each customer as a personal reference for his next job. With a proven track record of satisfied customers, Christian sought Accreditation with the Better Business Bureau Serving Eastern Oklahoma in 2005. Christian is very proud that he has never received a consumer complaint from the BBB. Having received a BBB Honor Roll Certificate every year his company has been accredited and earning an A+ grade has become the core of his company’s commitment to its customers. In addition, for customer reassurance Christian includes references in the area. 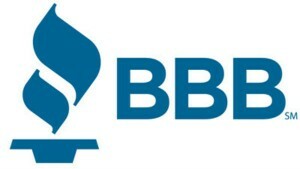 In fact all 1000+ customers and his company’s BBB report are available as references. His diverse customer base ranges from residential to commercial, from apartments to colleges, churches, hospitals and nursing homes. Christian Irrigation biggest accomplishment in their twelfth year of business came when Saint Simeon’s Retirement home and Flintco Construction approached the company with the opportunity to design and install a sprinkler system for their new facility. After reviewing different water source options with the City of Tulsa and Mattrix Architects, Christian Irrigation connected to a thirty year old system that consisted of 241 heads; adding 907 heads for head-to-head coverage. This was necessary for a full coverage even under heavy wind conditions. The system is also installed with no over spray on sidewalks, driveways, or streets. He goes on to say, “During the installation of St. Simeon’s sprinkler system, we noticed a need for a storm water drainage system. After consulting with our client we connected roof water gutter downspouts, as well as surface drains to prevent puddles. We then installed 10” storm drain pipe for perfect drainage. His message to you is: “We hope that home owners and business leaders see our commitment to quality work and an even greater customer satisfaction. We look forward to improving the quality of their homes and businesses and protecting their landscaping investment….one lawn at a time.